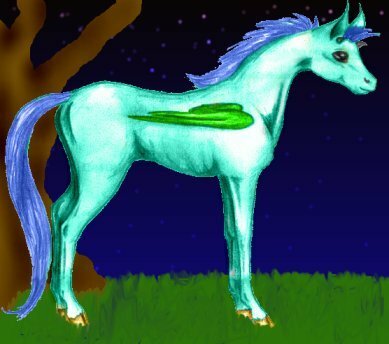 A pale teal pegasus standing nearby. :: Mersis and Gyunen are wanderers and keepers of knowledge. :: And this spunky fellow is Renge. If you want to leave the darkness, hold my tail and I'll lead you out.